Last week the blog highlighted Malaka Samara, one of the winners of the 2013 GFP International Day of Peace “call to action”. The video she composed, highlighting her Peace Journey, resulted in her being granted a unique educational opportunity aiming to enhance her peacebuilding skill set. See last week’s post for further details. Malaka’s being given access to the course, Preventing Violence Against Women and Gender Inequality in Peacekeeping, corresponds with the GFP mandate of providing ongoing incentives to Pioneers, post certification, so that they stay active and continue to improve; also known as the Pioneer Incentive Approach. Recognition and Awards: Based on the four Drivers of Change – Innovation, Quality, Impact, and Sustainability – Generations For Peace recognises the exceptional efforts of Pioneers in each of these four categories annually. Pioneers also get a chance to be featured in various media outlets (such as the GFP blog!) and channels celebrating their efforts, and raising awareness of the important work they do. Specialised Pioneer Facilitator Training: Upon identification of certain skills and strengths. Pioneers are selected for specialised training to become GFP Pioneer Facilitators. This includes a period of mentoring and opportunities to facilitate at Generations For Peace Camps, Advanced Trainings and Refresher Workshops all over the world. 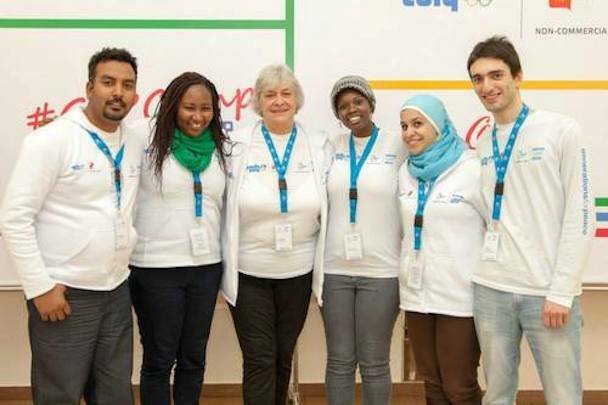 Above: Some of our Pioneer Facilitators alongside their mentor Judy Kent at Sochi Camp 2013. These incentives are awarded to those Pioneers who demonstrate ongoing dedication and commitment to peace building and conflict transformation through Generations For Peace programming. By Investing in these inspirational Pioneers and their endeavours, GFP aims to empower its volunteers around the world to take a leading role, knowing that the support of Generations For Peace and its partners is behind them.